Dogs use "internal compass" to face north or south while relieving themselves. Dogs already boast better senses of smell and hearing than humans do, and now they can add sensing the earth's magnetic field to their list of accomplishments. A team of zoologists, led by Hynek Burda at Germany's University of Duisburg-Essen, have published a study showing that dogs prefer to relieve themselves while aligned with the Earth's magnetic field. Burda's previous work showed that cows, deer, and foxes are all capable of magnetoreception - the ability to sense Earth's magnetic field. The new study is the first to show a mammal change its behavior in response to sensing the magnetic field. The study analyzed how 70 dogs oriented themselves during over 7000 bathroom breaks. At first, there was no clear pattern of a preferred direction. However, once natural variations in the Earth's magnetic field were taken into consideration by comparing the orientation data to daily magnetograms, which shows variations in the Earth's magnetic field, the researchers discovered a potty preference. Burda says, "The emerging picture of the analysis of the categorized data is as clear as [it is] astounding: Dogs prefer alignment along the magnetic north-south axis, but only in periods of calm magnetic field conditions." Solar winds and the magnetic field of the sun can cause instabilities in Earth's magnetic field, including geomagnetic storms. Minor instabilities may disrupt your pooch's bathroom habits, but major ones can cause telecommunications blackouts. During the study, unstable magnetic field conditions were present 70 percent of the time. The researchers will follow up on this evidence of earth's magnetic fields influencing dog behavior by trying to answer two questions. First, what exactly are dogs doing with their ability to sense magnetic fields, besides facing north or south while urinating or defecating? Second, how are dogs able to sense the magnetic fields? How magnetoreception works is an area of active research. Homing pigeons have been shown to use the Earth's magnetic field for orientation, but the exact mechanism for this sense has not been proven. The researchers also intend to set up a website through the Universtiy of Duisburg-Essen for dog owners who want to test their pup's abilities. 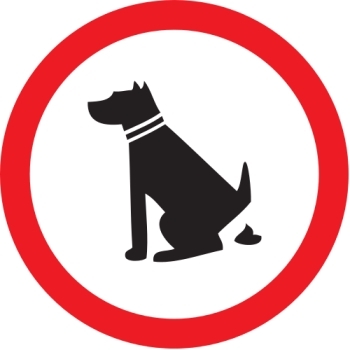 The website should launch by January 6, for all of you intrepid amateur researchers of dog toilet behaviour.